Fabric Rhizopots are great pots designed and created to boost a healthy, efficient and productive root zone. 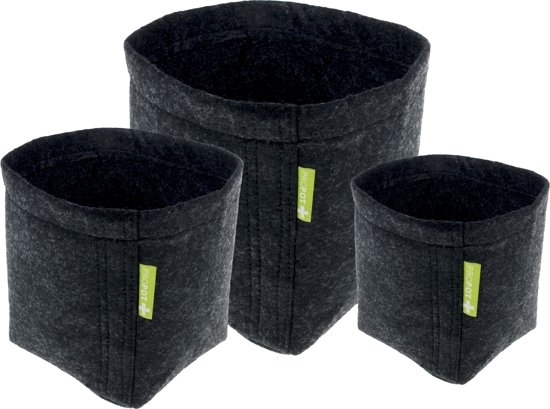 These Fabric pots by Garden Pro are square based to optimise growing space and offer a breathable root zone for plants. The unique fabric design gives roots optimal growing space as they are not restricted by a traditional plastic pot, this stops roots circling and breaking. 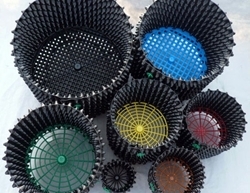 In addition, Fabric pots offer superior drainage and aeration whilst maximising nutrient and water uptake. 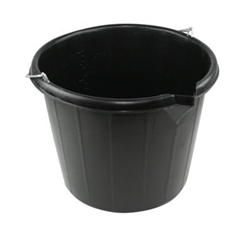 Garden Pro Fabric Pots have fabric density of 260gr/m2, reinforced bottoms and handles. 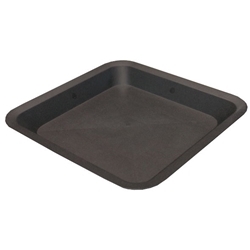 Fabric Rhizopots are re-usable and fold flat so easy to store. This Elasticated Support Netting is a durable and flexible net designed to train and support your plants to grow and expand within your space to their full potential.  The net offers your plant support without damage and the soft and delicate design allows a gentle yet firm hold for your plants. 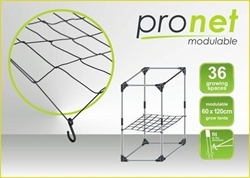 Once supported by the net, crops can grow with width and density without compromise, the use of this net will aid better quality and and maximum fruit production.